The desire to capture emotion, a memory, a thought not in words but in a magical language of visual interaction and relationship, color, movement, leads me forward. By responding to what is on the canvas, creating an abstract narrative of color, gesture and relationship, I hope to create a painting that reaches out to others. It becomes a journey for both the viewer and the artist. Jacqueline Barnett is a recognized abstract artist represented by IMA Gallery of Seattle (previously with Francine Seders Gallery and Foster/White Gallery). Her dynamic work — ranging from large oil paintings to monotypes to 3-dimensional forms — emerges from abstract expressionism and organic metaphor. Her numerous solo and group exhibitions highlight a generative career of enduring creative impact. Barnett graduated from Vassar College in 1955 and studied with Frank Lobdell and Nathan Oliveira at Stanford University’s Department of Art from 1970-1983. Announcing her second solo-exhibition at Gallery IMA, Jacqueline Barnett presents a bold and expressive new body of work. 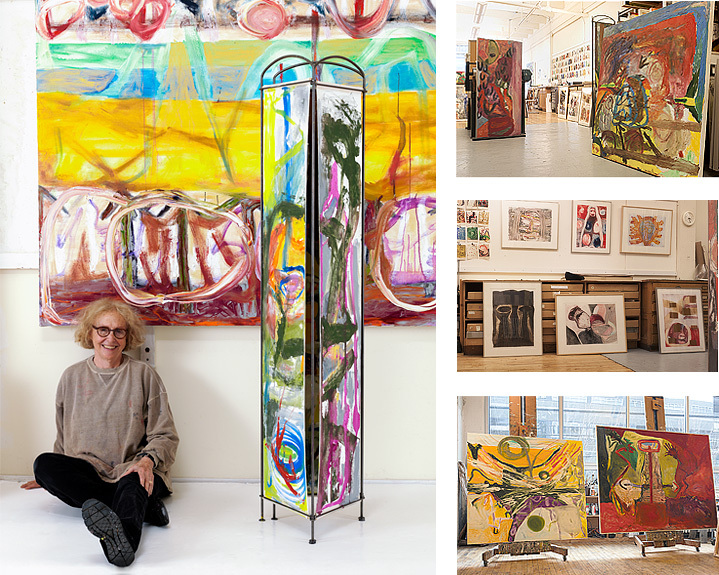 Her dynamic oil paintings, ranging from large canvas works to monotypes to three-dimensional forms, emerge from abstract expressionism and organic metaphor. Barnett’s numerous solo and group exhibitions highlight a generative career of enduring creative impact. Barnett graduated from Vassar College in 1955 and studied with Frank Lobdell and Nathan Oliveira at Stanford University’s Department of Art from 1970-1983.